The thought of dying often times evokes fear and apprehension in people. Thinking of others dying makes our own mortality very real. Research has shown that dying people are ostracized from society and even avoided by close friends and family. In light of this, it is easy to see why many dying patients report feeling isolated and alone. This is certainly not the type of death most of us would choose. Being surrounded by friends and loved ones is how many of us would choose to spend our last months or days. There are several reasons why many people have a difficult time interacting with a dying person: not wanting to face the reality of their own death; not having the time to become involved, and not having the emotional reserves to deal with such an intense situation. Feelings of guilt over whether they could have done something to prevent an illness, or over how their relationship with that person has been recently, may also cause someone to avoid a dying person. When someone is having a difficult time interacting with a dying person, it often manifests as avoidance, difficulty speaking, difficulty maintaining eye contact and maintaining a physical distance. The person who is dying will likely perceive these signs. 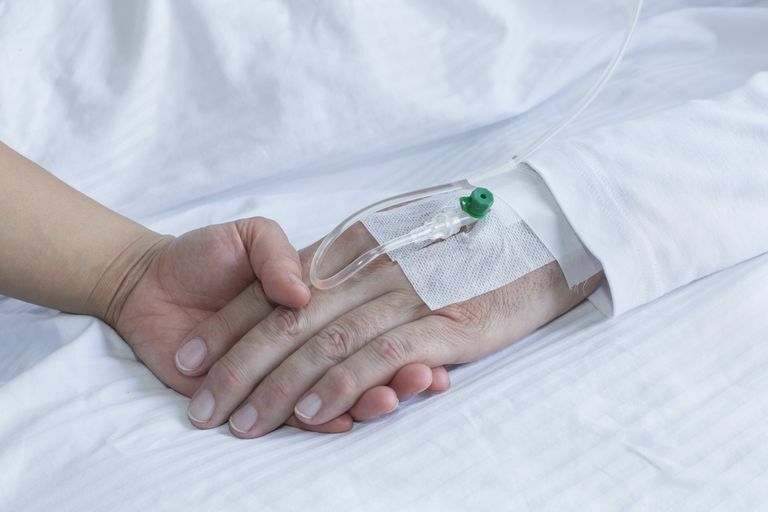 Because everyone dies differently, the dying person may evoke more avoidance due to their level of pain or distressing symptoms and how they cope with them. Some dying people may not want to engage in full conversations but prefer brief, succinct communication. These things can increase the discomfort loved ones already feel. On one side, you have family and friends that are fearful or uncomfortable being around a dying loved one. On the other, the dying person feeling abandoned, isolated and alone. How do we bridge that gap to bring these people together? Open communication is the easiest and best way to bridge that gap. Let the dying person know you are feeling fearful or uncomfortable, or whatever emotion it is that you have, because they’re going to figure it out anyway. It will let them know that you are taking steps to get past it and to give them what they need the most during this time. Ask the dying person what they need or expect from you. Some dying people will want to talk very openly about their illness and their impending death. Others will want to avoid talking about it and choose to focus more on fond memories or their loved one's lives. Knowing what it is the dying person wants to talk about during your interactions will go a long way. Some will not want to talk at all but may want you at their side to hold their hand, read them a book or just to feel your presence. Be honest about what you can offer. If they want you to visit daily and you can’t fit it into your schedule or don’t feel like you can handle that much emotional strain, let them know. Tell them what they can expect from you like, "I understand that you want me to visit you every day. I want to visit you as much as I can but every day may not be possible. I will be sure to visit you every Monday, Wednesday, and Saturday, and if I can fit any extra days in, I will do it.” The important thing is to not make a promise that can’t keep. Also, be honest about what you feel comfortable talking about. Just because the dying person wants to be open and frank about what is happening to them, you may not feel comfortable discussing every detail. Let them know if this is the case. Once everyone’s needs and expectations are in the open, the process of compromise can begin. Finding a place where everyone is comfortable and getting their needs met will help make interacting with the dying person a special experience that you can treasure.